At Long Island Hydraulic Hoses you can be sure you are getting the best service to go with our large selection of high, low and medium pressure hydraulic hoses. This is why thousands of satisfied customers tell their friends about us. Our core values of Trust, Respect, Fairness, Responsibility, and Safety are what allows us to provide exceptional customer service. 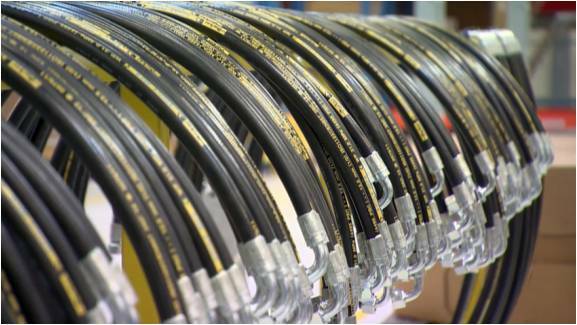 We want Long Island Hydraulic Hoses to be your number one source for premium hydraulic hoses and fittings. We carry many different specialty hoses that are for air conditioning, power steering, fuel injection, engine oil cooler, transmission, hydraulic clutch, and DOT approved brake hoses. We are DOT Certified to manufacture brake hoses...materials include rubber or stainless steel braid.